The SI Series Cartridge Filter Housings are three-piece, all metal housings with clamp closures. 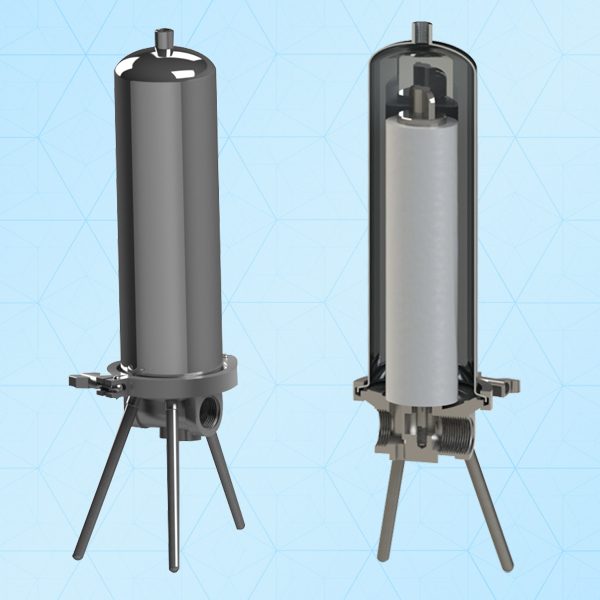 They are designed to meet general industrial filtration needs. The SI Models offer you a choice in construction materials for wetted surfaces and are available with a 316L stainless steel head with 304 stainless steel sump or in all – 316L stainless steel in one-high (clamps) two high or three high designs. Clamps for head to sump sealing are stainless steel. All SI housings are tapped for either “leg” or wall mounting. Legs and brackets are standard options for flexibility in installation.